LAS VEGAS – Patrón Spirits, creators of the world’s finest ultra-premium line of luxury spirits, has now introduced a new 375ml bottle size for Gran Patrón Platinum tequila. Like the original 750ml, the new 375ml size is an elegant unleaded crystal bottle that is made, polished, numbered and signed by hand. Gran Patrón Platinum is the perfect choice for those looking to reward themselves with the world’s finest platinum tequila. Produced from only the best hand-selected Weber blue agave, it is triple distilled then rested in wood to be exceptionally smooth. 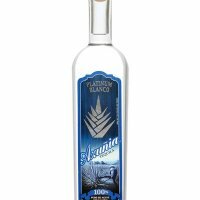 The average retail price for the 375ml Gran Patrón Platinum is $99.00. Both the 375ml size bottle, and the 750ml are available at fine wine and liquor retailers across the country. Simply Perfect in every way, Patrón tequila is an ultra-premium luxury white spirit that’s delicious on the rocks, and mixes flawlessly into most any cocktail. From the highest-quality Weber Blue agave plants grown in the highlands of Jalisco, Mexico, to the centuries-old distillation process, to the signed, handcrafted glass bottles, Patrón is produced with unparalleled attention to detail. Imported and marketed by The Patrón Spirits Company, brands in the portfolio consist of Gran Patrón Burdeos, Gran Patrón Platinum, Patrón Silver, Patrón Reposado, Patrón Añejo, Patrón XO Cafe (tequila and coffee liqueur), and Patrón Citrónge (extra fine orange liqueur), as well as Pyrat Pistol, Pyrat XO Reserve, and Pyrat Cask 1623 Caribbean rums, and Ultimat ultra-premium vodka.